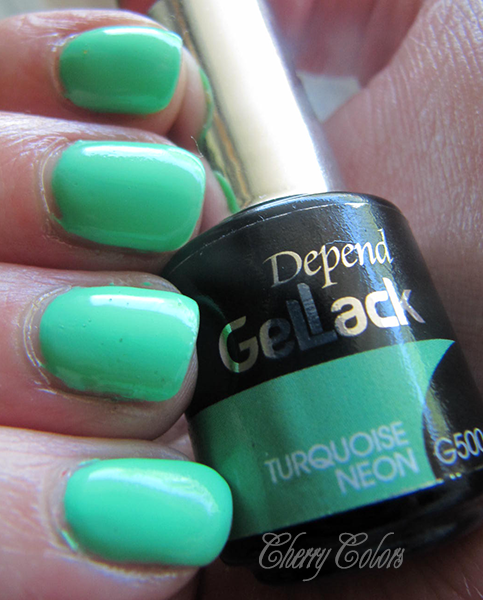 NOTD: Depend Gellack - Neon Turquoise - Cherry Colors - Cosmetics Heaven! It's been a while since I showed you my gel manicures, hasn't it? I got two new gel colors in the meantime and I like them both. One of them is the gorgeous Turquoise neon by Depend which is shown on the pictures below. I had no problems with the formula or whatsoever. However I did the manicure at night in semi-dark (was trying to be quick since the kid woke up). I used two coats and base + top coat. I cured it under the UV light. Also I finished with two layers of the top coat, just because. This manicure would last me a while, if I wouldn't get bored of it (and gel manicures in that period). I would totally love a neon manicure now ;). 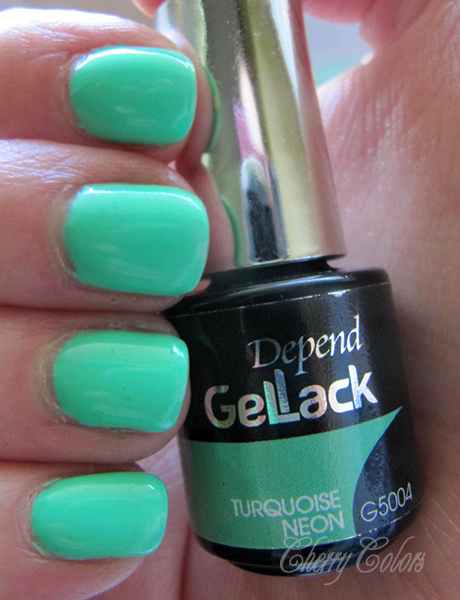 Do you have any Depend gellack nail polish?